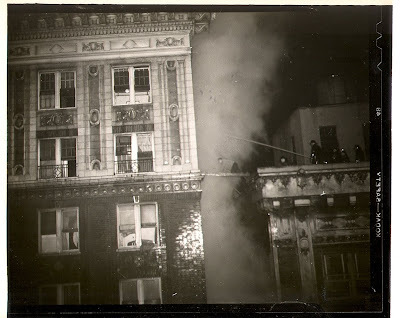 Atlanta firefighter Richard Ellington, 56, moves across his ladder from the roof of The Mortgage Guarantee Building toward room 1518 of the burning Winecoff Hotel. Even through dense smoke rising in the alleyway, many were rescued using this method. 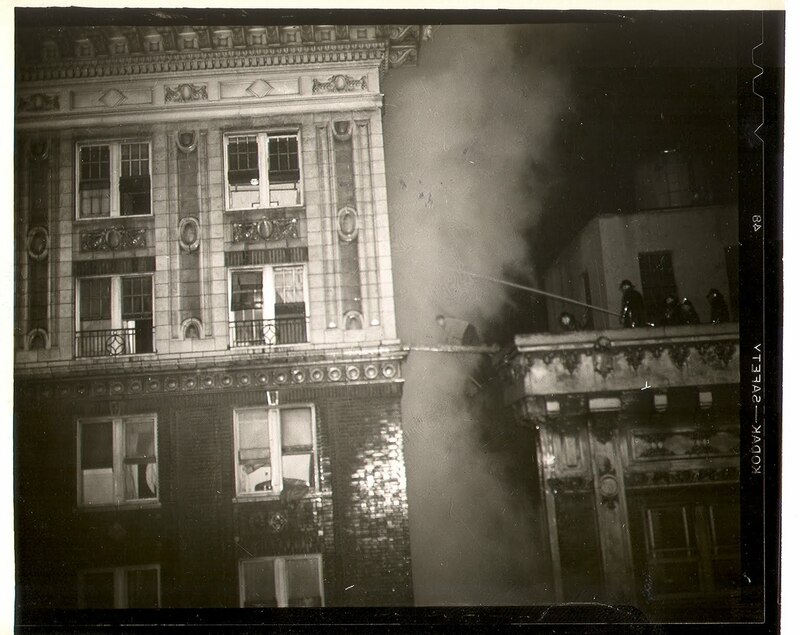 Ellington's son Relford, 26, also fought the blaze.